•This kind of C5 aliphatic hydrocarbon resin is applicable for hot melt road paint, which can enhance the tenacity, hardness and adhesive force of the paint, then form smooth paint surface, and could keep its stability in different temperatures of seasons by adding auxiliary agent. •Pale yellow thermoplastic granule resin. •Better compatibility with gum resin. 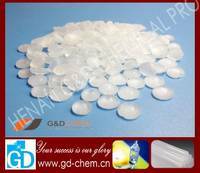 Henan G&D Chemical Products Co., Ltd. is a modern enterprise, which is a collection of science, manufacturing and trade. Uphold the "integrity is the basis, quality is the most important, provide the best service to customer” development philosophy”, welcome friends to visit us! Our product development is advanced by engineers and experts, who have more than 10 years of valuable experience .We manufacture Hydrocarbon resin. According to the requirements from customers, we could provide the technical support and product research. We manufacture Petroleum resin 30,000MT per year (including C5 aliphatic petroleum resin, C9 aromatic petroleum resin, Aliphatic/Aromatic copolymerized hydrocarbon resin and other specialized hydrocarbon resins). We have 20 sales staff. Face our dream, we are full of passion! Face the difficulties, we don’t flinch! We will create the Maximum value of Win-Win for our customers by our Professional knowledge of products and a wealth of marketing experience. More than 70% of our products are sold to Hong Kong, Taiwan, Southeast Asia, the United States, Canada, Brazil, Argentina, Russia, the Middle East, Africa, Europe and other countries or regions.